Visa requirements for South African citizens are administrative entry restrictions by the authorities of other states placed on citizens of South Africa. As of 26 March 2019, South African citizens had visa-free or visa on arrival access to 100 countries and territories, ranking the South African passport 51st in terms of travel freedom according to the Henley Passport Index. It does not provide for where certain people under the assumption remained British Subjects without Citizenship, then later became British Overseas Citizens or British Subjects in 1983, there are different requirements. See Visa requirements for British Overseas citizens or South African nationality law. This list provides for the period of stay under "Allowed Stay" generally for short stay activities where a Visa is not required in sovereign states. Andorra has no visa regime, but is only accessible through France and Spain. Multiple Entry Schengen Visa required. 30 days per visit, up to 90 days per year. Biometric Collection is mandatory upon request for the Online Vistor e600 Visa. Visas can be issued within a matter of seconds depending on the length of queue once all the appropriate information is provided including Biometrics. Departing Passengers may use SmartGate for a faster entry into the passenger area, this is not applicable to arriving passengers for entry into Australia. Extendable up to 8 months. Pre-approved visa can be picked up on arrival. Holders of the Right of Abode to the UK with a Certificate of Entitlement as proof of authenticity do not require Visa. 24-Hour Transit Visa obtainable at the airport. 5 day Schenzen Visa available at the Shenzhen border if travelling from Hong Kong or Macao. Visa holders must stay within the Shenzhen City and surrounds, not travel to other cities and leave at the end of the 5 day permission. Travelling to Guangzhou would be in violation of the conditions. In addition to a visa, an entry clearance must be obtained from the Gambian Immigration prior to travel. Select ports of entry only. Visa on Arrival is an alternative to the 30 day Visa Exemption, Visa on Arrival is issued for 30 days which is extendable however the exemption is not. Entry into the UK from Ireland is not permitted if the South African passport holder does not have a valid UK Visa. There are some requirements to fulfil for entry such as evidence of sufficient funds, proof of accommodation and character requirements. Visa checks may be carried out if travelling by land between Ireland and Northern Ireland (UK). Further checks are implied when travelling by boat or from Northern Ireland (UK) to mainland UK (Great Britain). UK direct-airside transit and transit by land visas cannot be used for travel to Ireland by transiting the UK, this is because entry in the first country (either the UK or Ireland) is considered entry to the entire Common Travel Area (UK and Republic of Ireland). Standard Visitor Visa required for the purpose of any transit. Extendable up to 90 days. In addition to a visa, an approval should be obtained from the Immigration department of the General Directorate of General Security (La Surete Generale). Certain travelers who are of Lithuanian Descent (i.e. by the parent, grandparent and great-grandparent) may be issued a long-stay Category D Visa or Permanent Residence valid if the relationship can be proved. Visa free access for holders of a valid US Visa. Holders of valid B1/B2 (B) or Permanent Resident Visa/ Green Card are permitted to remain for 180 days. Passport holders with less than six months validity may face difficulty when attempting to enter as a Business Visitor/ Tourist as they are usually permitted six months stay which might exceed the passport's validity. Schengen Visa Required. Monaco is a de facto member of the Schengen Area and there are no formal immigration procedures upon exit and entry. eVisa available for both tourism or business purposes. Visa not required if the holder of Australian Permanent Residence travelling on a South African Passport, Australian Resident Visa will be granted upon arrival subject to satisfying the entry requirements. Australian Permanent Residents must have a valid Visa/ Travel Facility attached to the status for entry. Imperative note: Holders of the Right of Abode to the UK with a Certificate of Entitlement as proof of authenticity do not require a Visa. Available at Hamad International Airport. The Visa Waiver Facility (of 30 days) cannot be facilitated if stay is less than 1 night, a Transit Visa should be applied for instead. Label is put in the passport in addition to a stamp upon arrival after satisfying the entry requirements. eVisa, Transit Visa from Qatar Airways (9–96 hours) and ETA are also available. eVisa refers to a Tourist Visa. These three methods are all acceptable alternatives for tourism should the South African passport holder wish not to use the Visa Waiver Facility available upon arrival. Male travelers who are ordinarily a resident in Qatar require an Exit Visa/ Permit. Visa free for a maximum stay of 90 days for valid visa holders or residents of the European Union member states and the United States. E-visa holders can enter through all border points. Maximum two visits annually if not arriving by air. Extendable by 30 days at any Immigration Office within Thailand. Information from the Togo Embassy in the United Kingdom that is not found in the IATA database which states that visa is obtainable on arrival. May apply online. Emirates Airline (Dubai) and Etihad Airways (Abu Dhabi) routinely provide this service. Entry is only valid on condition that travel is made with the airline where the online visa is applied for and ticket is issued. Visa not required in advance if in possession of the Right of Abode in the United Kingdom with a Certificate of Entitlement in Commonwealth passport, may enter the Emirate of Dubai in the same way as a British Citizen. Right of Abode holders with a Certificate of Entitlement in their Commonwealth passport may enter the United Kingdom and remain indefinitely. Temporary Visa holders can only enter for 3 months if entering from the Republic of Ireland (Eire). The Crown dependencies include the Bailiwicks of Jersey and Guernsey as well as the Isle of Man. The same Visa Policy applies mainly to the British Overseas Territory of Gibraltar, therefore a United Kingdom Visa can be used. Transit Visa Required unless in possession of an exemption document; Australian, New Zealand and all other Visas with confirmation slips/ electronically granted Visas with a paper print-out as confirmation are not permitted as an exemption document unless endorsed by the airline. Entering the United Kingdom (including Northern Ireland) by land, sea or air from the Republic of Ireland is not permitted unless in possession of a valid U.K. Visa or Immigration Document. UK Land or Transit Visa cannot be used to transit the UK from Ireland or from Ireland to the UK, a Standard Visa is required. Holders of a B1/ B2 (B) Visa, Permanent Resident Card, D Visa who have entered the United States at least once since 2008 may use the Automated Passport Control (APC) Kiosk for faster processing at selected airports, before proceeding to a US Customs and Border Protection officer for finalization of entry into the United States. Available locations include some United States border preclearance facilities as well. Schengen Visa Required. Entry can be made from Italy exclusively. Vatican City is a de facto member of the Schengen Area and there are no formal immigration procedures upon entry and exit. Pre-arranged visa obtained online through travel agencies available at Hanoi, Ho Chi Minh City, Phu Quoc, or Da Nang airports. Nagorno-Karabakh Visa required Travellers with Nagorno-Karabakh visa (expired or valid) or evidence of travel to Nagorno-Karabakh (stamps) will be permanently denied entry to Azerbaijan. South Ossetia Visa not required Multiple entry visa to Russia and three day prior notification are required to enter South Ossetia. Hong Kong Visa not required 30 days. Landing slip with stay conditions issued upon arrival in place of entry stamp. 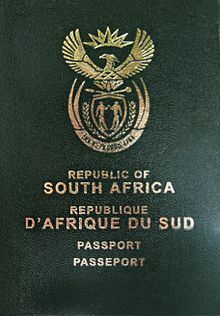 This is not a permit, however it is used to classify South African citizens as being visa exempted. French West Indies Visa required Includes overseas departments of Guadeloupe and Martinique and overseas collectivities of Saint Barthélemy and Saint Martin. Réunion Visa not required 3 months. Travel to mainland France is prohibited unless in possession of a Valid Schengen Visa, Identity and Visa checks are conducted between Reunion and mainland France/ EU or EEA countries and Switzerland. Caribbean Netherlands Visa required Includes Bonaire, Sint Eustatius and Saba. British Indian Ocean Territory Special permit required Special permit required. Gibraltar is the only British Overseas Territory which falls under the UK's Visa Policy. UK Visa Required for Entry. Saint Helena Visitor's Pass required Visitor's Pass granted on arrival valid for 4/10/21/60/90 days for 12/14/16/20/25 pound sterling. Hainan Visa on arrival 15 days. Available at Haikou Meilan International Airport and Sanya Phoenix International Airport. Tibet Autonomous Region TTP required Tibet Travel Permit required (10 US Dollars). Crimea Visa required Visa issued by Russia is required. Galápagos Pre-registration required Online pre-registration is required. Transit Control Card must also be obtained at the airport prior to departure. Eritrea outside Asmara Travel permit required To travel in the rest of the country, a Travel Permit for Foreigners is required (20 Eritrean nakfa). Mount Athos Special permit required Special permit required (4 days: 25 euro for Orthodox visitors, 35 euro for non-Orthodox visitors, 18 euro for students). There is a visitors' quota: maximum 100 Orthodox and 10 non-Orthodox per day and women are not allowed. India PAP/RAP PAP/RAP required Protected Area Permit (PAP) required for whole states of Nagaland and Sikkim and parts of states Manipur, Arunachal Pradesh, Uttaranchal, Jammu and Kashmir, Rajasthan, Himachal Pradesh. Restricted Area Permit (RAP) required for all of Andaman and Nicobar Islands and parts of Sikkim. Some of these requirements are occasionally lifted for a year. Kish Island Visa not required Visitors to Kish Island do not require a visa. Iraqi Kurdistan Visa on arrival Visa on arrival for 15 days is available at Erbil and Sulaymaniyah airports. Lau Province Special permission required Special permission required. Clipperton Island Special permit required Special permit required. Kazakhstan Special permission required Special permission required for the town of Baikonur and surrounding areas in Kyzylorda Oblast, and the town of Gvardeyskiy near Almaty. Malaysia Sabah and Sarawak Visa not required These states have their own immigration authorities and passport is required to travel to them, however the same visa applies. Maldives outside Malé Permission required With the exception of the capital Malé, tourists are generally prohibited from visiting non-resort islands without the express permission of the Government of Maldives. Transit Visa not required when transiting Oslo, Norway to get to Svalbard Airport, Longyear, Svalbard. Russia Special authorization required Several closed cities and regions in Russia require special authorization. Sudan outside Khartoum Travel permit required All foreigners traveling more than 25 kilometers outside of Khartoum must obtain a travel permit. Darfur Travel permit required Separate travel permit is required. Gorno-Badakhshan Autonomous Province OIVR permit required OIVR permit required (15+5 Tajikistani Somoni) and another special permit (free of charge) is required for Lake Sarez. UN Buffer Zone in Cyprus Access Permit required Access Permit is required for travelling inside the zone, except Civil Use Areas. United States Minor Outlying Islands Special permits required Special permits required for Baker Island, Howland Island, Jarvis Island, Johnston Atoll, Kingman Reef, Midway Atoll, Palmyra Atoll and Wake Island. Margarita Island Visa not required All visitors are fingerprinted. Yemen outside Sana’a or Aden Special permission required Special permission needed for travel outside Sana’a or Aden. Many African countries, including Angola, Benin, Burkina Faso, Cameroon, Central African Republic, Chad, Democratic Republic of the Congo, Republic of the Congo, Côte d'Ivoire, Equatorial Guinea, Gabon, Ghana, Guinea, Liberia, Mali, Mauritania, Niger, Rwanda, São Tomé and Príncipe, Senegal, Sierra Leone, Uganda, Zambia require all incoming passengers to have a current International Certificate of Vaccination. Some other countries require vaccination only if the passenger is coming from an infected area. Many countries require passport validity of no less than 6 months and one or two blank pages. This list does not include the ability of a Visa Document Exemption/ Substitute for a Visa Application, for instance a US Visa as an exemption document for the issue of a Qatari e-Visa. Bermuda of the United Kingdom: 3 months (if arriving or transiting from the United Kingdom). New Zealand: Indefinite. Note: may apply for Permanent Residency in New Zealand after satisfying two year's residence with an Australian Resident Visa in New Zealand. Australian Resident Visa in New Zealand (Indefinite Visa) is granted at the New Zealand border in the form of an entry stamp, if the holder leaves New Zealand the Visa would end and the time spent would not count towards satisfying the Two Year's Residence requirement in order to become a New Zealand Permanent Resident. Australian Resident Visa is the name of the Visa given to Australian Permanent Residents or Australian Citizens upon arrival in New Zealand. European Union Family Member - South African Citizens who are travelling with or joining their EU family members in the European Union in a Country other than where their family member is a citizen of does not require a Visa to enter and enjoy the same entry rights, however this would be difficult to prove and as a result, entry could be refused. Visa should be applied for in advance which is usually with no or minimal requirements to meet if the applicant is a family member of an EU Citizen. For instance, a person who wants to travel with their spouse to France where their spouse is a Citizen of the Republic of Lithuania should apply for a Visa in advance or where a person wants to join their Lithuanian spouse who resides in France should also apply for a Visa to prove their right and avoid misconception. Schengen Visa (Long Stay) - Holder’s of a Valid Long Stay Category D Visa who arrive in the Schengen European country of their Visa and apply for a Residence Card shortly after arriving will be able to use their EU residence permit/ card valid for travel within the Schengen States, if granted. ^ "Global Ranking - Passport Index 2019" (PDF). Henley & Partners. Retrieved 30 March 2019. ^ "Identity documents". Ministry of Foreign Affairs and Institutional Relations - Government of Andorra. Retrieved 2 May 2011. ^ "500 - Internal Server Error". evisa.gov.az. ^ "Esta es la nueva lista de extranjeros que pueden entrar a Colombia temporalmente sin Visa" (in Spanish). Bogotá. 2017. Retrieved September 2, 2017. ^ "Energie – SNEDAI GROUPE". www.snedai.com. ^ "MVEP • Visa requirements overview". www.mvep.hr. ^ Exemtpion applies if traveling as tourists on a charter flight. ^ "Iran extends airport visa validity to 30 days". tehrantimes.com. 3 August 2015. ^ "Nairobi grants South African nationals 90-day visa free stay". Business Daily. ^ "Home - Evisa". evisa.rop.gov.om. ^ "Business Visa. Ministry of Interior of Pakistan". dgip.gov.pk. ^ "Visas for Visitors - Visit Qatar". www.visitqatar.qa. ^ "Quick Guide to Senegal: Visa-free travel for South Africans". Traveller. 25 June 2018. ^ "Frequently Asked Questions: Togo Visa, Passport & Consular documents". ^ See  for a List of Locations. ^ "Phu Quoc - Official tourist guide to Vietnam's paradise island destination". Phu Quoc. ^ "MINISTRY OF FOREIGN AFFAIRS REPUBLIC OF ABKHAZIA". Archived from the original on 2016-04-24. Retrieved 2016-05-03. ^ "Visas For Foreign Citizens - For Kosovo Citizens - Consular Services - Ministry of Foreign Affairs - Republic of Kosovo". Ministry of Foreign Affairs - Republic of Kosovo. ^ FS. "Azərbaycan Respublikasının Xarici İşlər Nazirliyi Azərbaycan Respublikasının vətəndaşlarına Liviyada mövcud olan vəziyyətlə bağlı xəbərdarlıq edir, 12 may 2011-ci il". mfa.gov.az. ^ "Practical travel information on Visas in Somaliland, Puntland & Somalia - Lonely Planet Travel Information". lonelyplanet.com. Archived from the original on 2014-11-06. Retrieved 2018-05-15. ^ "Procedure of the Entry to the Territory of the Republic of South Ossetia - Министерство иностранных дел". www.mfa-rso.su. ^ "О визах - Министерство иностранных дел". mfa-rso.su. ^ "Procedure of the Entry to the Territory of the Republic of South Ossetia - Министерство иностранных дел". mfa-rso.su. ^ "Министерство иностранных дел - Приднестровской Молдавской Республики". Министерство иностранных дел. ^ "Luxlana.net". luxlana.net. Archived from the original on 2013-10-22. Retrieved 2018-05-15. ^ "Rules and recommendations - Transnistria tour". transnistria-tour.com. ^ "Passport and visa". Visit Faroe Islands. Archived from the original on 2014-07-20. Retrieved 2014-07-30. ^ "Advice & Services for travelling to and staying in Greenland". ^ Ruling of 4 February 2015 regarding the documents and visas required for the entry of foreigners in the territory of Mayotte, Légifrance (in French). ^ Ruling of 22 July 2011 regarding the documents and visas required for the entry of foreigners in the territory of New Caledonia, Légifrance (in French). ^ "British Indian Ocean Territory travel advice". GOV.UK. ^ "Tourist Information - Visas & Legal Info - Pitcairn Island Tourism". visitpitcairn.pn. Archived from the original on 2013-10-18. Retrieved 2018-05-15. ^ Haigh, Bill. "Pitcairn Islands". www.government.pn. ^ Grundy, Richard. "Tristan da Cunha Tourism". www.tristandc.com. ^ "South Georgia and South Sandwich Islands (British Overseas Territory) travel advice". fco.gov.uk. ^ "Information for Visitors - South Georgia Website". sgisland.gs. Archived from the original on 2008-04-12. Retrieved 2018-05-15. ^ "Antarctic tourism - British Antarctic Survey". www.antarctica.ac.uk. ^ "British Antarctic Territory - GOV.UK". britishantarcticterritory.fco.gov.uk. ^ "Accès à l'Antarctique". www.taaf.fr. ^ "Accès aux Terres australes françaises". www.taaf.fr. ^ "Accès aux îles Eparses". www.taaf.fr. ^ "Forms expeditioners must sign". www.antarctica.gov.au. ^ Division, c=AU;o=Commonwealth of Australia;ou=Department of the Environment and Energy;ou=Australian Antarctic. "Frequently asked questions". www.heardisland.aq. ^ "Dronning Maud Land". Norwegian Polar Institute. ^ Trade, New Zealand Ministry of Foreign Affairs and. "The Ministry of Foreign Affairs and Trade acts in the world to make New Zealanders safer and more prosperous". New Zealand Ministry of Foreign Affairs and Trade. ^ "Visa-free trips to Belovezhskaya Pushcha as from 12 June". Archived from the original on 2016-01-30. Retrieved 2017-07-20. ^ "VISA-FREE TRAVEL THROUGH THE CHECKPOINT "PEREROV - BIALOWIEZA" FOR FOREIGN CITIZENS". brest.by. Archived from the original on 2015-07-15. Retrieved 2017-06-29. ^ "How to get Tibet Travel Permit, Successful Application Tips". Tibet Travel and Tours - Tibet Vista. ^ "How to get a Tibet Travel Permits - Tibet Visa 2018/2019". www.tibettravelplanner.com. ^ "Foreigners Now Need Russian Visa to Visit Crimea". themoscowtimes.com. ^ "Sistema de Calificación y Control de Residencia - Consejo de Gobierno de Galápagos". Archived from the original on 2015-02-21. Retrieved 2018-05-08. ^ Splinter, Hans van der. "Ministry of Tourism - Tourism Service Center". www.eritrea.be. ^ "The Friends of Mount Athos - A Pilgrim's Guide to Mount Athos: Planning Your Visit". www.athosfriends.org. ^ Ioannis, DATAFON Verginis G. "MOUNT ATHOS INFO, ΑΓΙΟΝ ΟΡΟΣ, BERG ATHOS, OURANOUPOLIS, ΟΥΡΑΝΟΥΠΟΛΗ". www.mountathosinfos.gr. ^ "Iran Country Specific Information". Bureau of Consular Affairs, U.S. Department of State. Archived from the original on 3 December 2013. Retrieved 18 November 2013. ^ Quintero, Bruno. "Clipperton - Ile de La Passion". www.clipperton.fr. ^ "Kazakhstan Country Specific Information". Bureau of Consular Affairs, U.S. Department of State. Archived from the original on 2 November 2013. Retrieved 18 November 2013. ^ "Malaysia Country Specific Information". Bureau of Consular Affairs, U.S. Department of State. Archived from the original on 28 November 2013. Retrieved 18 November 2013. ^ "Maldives Country Specific Information". Bureau of Consular Affairs, U.S. Department of State. Archived from the original on 2 December 2013. Retrieved 18 November 2013. ^ Crew, Jan Mayen. "JAN MAYEN HOMESITE, EDITED BY THE JAN MAYEN CREW". www.jan-mayen.no. ^ "Kiev declares passport control on border with rebel-held regions". rt.com. ^ "Ukraine imposes passport control on rebel-held regions". abc.net.au. 6 November 2014. ^ "Pamirs - the roof of the world". www.pamirs.org. ^ "Tajikistan-Visa". tajiktourism.com. 27 April 2012. ^ "Vietnam Country Specific Information". Bureau of Consular Affairs, U.S. Department of State. Archived from the original on 3 December 2013. Retrieved 19 November 2013. ^ "Yemen Country Specific Information". Bureau of Consular Affairs, U.S. Department of State. Archived from the original on 14 November 2013. Retrieved 19 November 2013. ^ "Country list - Yellow fever vaccination requirements and recommendations; and malaria situation" (PDF). who.int. Archived from the original (PDF) on 2014-08-27. Retrieved 2018-05-15. ^ "International Travel Information". Bureau of Consular Affairs, U.S. Department of State. Archived from the original on 22 October 2013. Retrieved 20 November 2013. ^ Countries and regions that require a visa to travel to Mexico, Instituto Nacional de Migración, September 27, 2013.